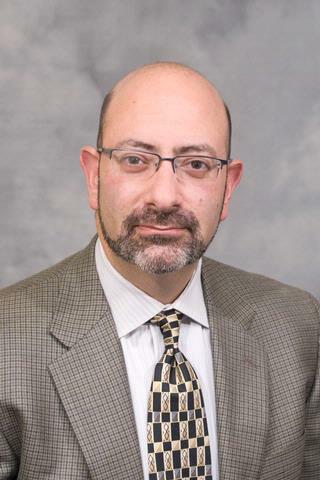 The International Geriatric Fracture Society (IGFS) has elected Highland Hospital Associate Chief of Medicine, Daniel Mendelson, M.S., M.D., FACP, AGSF, CMD, as vice president. Dr. Mendelson will serve a two-year term, followed by a two-year term as president. A founding board member, Dr. Mendelson will be the first geriatrician to lead this group. Founded in 2012, the IGFS is a non-profit, 501(c)(6)-designated organization whose membership includes some of the world’s premier thought leaders on geriatric fracture care management. The mission of the Society is to be recognized as the foremost international authority for collaboration on the delivery of evidenced-based, patient-centered care for the treatment of geriatric or fragility fractures. Highland Hospital was one of the first hospitals to become IGFS certified and has maintained its certification at the highest level. Dr. Mendelson co-founded and continues to co-direct the Geriatric Fracture Center at Highland Hospital and lectures worldwide about topics related to fragility fractures and co-management. He is the Medical Director for the American Geriatrics Society’s AGS CoCare: Ortho program which is a project supported by the John A. Hartford Foundation to disseminate geriatrics co-management. Dr. Mendelson was a founder of UR Medicine Geriatrics Group and established Highland Geriatrics Hospitalists and Highland Hospital Palliative Care Consult Service. Dr. Mendelson is the William and Sheila Konar Family Professor of Geriatrics, Palliative Medicine, and Person-Centered Care in the Division of Geriatrics at the UR School of Medicine & Dentistry. He has also served on the ethics, quality, and nominating committees of the American Geriatrics Society as well as the ethics committee of the NY Chapter of the American College of Physicians. He is the immediate past chair of the American Hospital Association (AHA) Section for Long-Term Care and Rehabilitation Council.